Before you head out on a road trip, be sure to bring your vehicle in to Classic Chevrolet to have it checked out. If it’s near time for service, have it serviced before you leave instead of bringing it in when you get back – you’ll feel better about knowing that everything has been checked and that your vehicle is ready for a road trip. You’ll also need to pack the necessities for your road trip – and these are not the things you’ll be using every day. These are things you may need in the event of an emergency. If you already have an emergency kit, be sure to rotate the food and water in the kit so you have fresh for the road trip. Even in the warm months, you need an emergency kit that will sustain you and protect you from the elements should you get stranded. Each person should have a couple liters of water and enough high-energy food for at least one meal for two to three days. You may use high-energy bars, peanut butter and jelly, peanuts, nuts and other foods that store well. Chocolate is a great high-energy food; however, it melts too easily. Make sure you have an extensive first aid kit that includes several sizes of bandages, gauze, tape, a needle and thread, antibacterial cream, eye wash, tweezers, cleaning solution for cuts, alcohol pads and more. The smaller kits that are available do not have nearly enough in them for just one person, never mind a whole family. You should also have at least one flashlight, extra batteries, a flare gun and reflective triangles especially if you will be traveling in a remote area. Never rely on your cell phone – you may get stranded in an area that has no service. Pack an extra change of clothing plus a blanket for everyone. Even summer nights could get cool in some parts of the country. The extra clothing comes in handy if you get stranded on your way home and everything else is dirty or if you get stranded on the way to your destination – you won’t have to look for a washing machine. Stop by Classic Chevy to have your vehicle serviced or at least checked before you leave on a road trip so you better eliminate the chance of being stranded. Winter is one of the best seasons for road trips. The Texas temperatures are more mild and destinations are less crowded. However, it’s important to know that your vehicle is in top condition before you hit the road, and your tires are a big part of that. These tire safety tips will help you stay safe on the roads as temperatures drop this season. Do a visual inspection of your tires before you hit the road. Check for over or under inflation by seeing if your tires are wearing more in certain areas than others. A majority of the wear on over-inflated tires will be in the center of the tread, while you’ll notice more wear on the edges of the tread if your tires are under-inflated. Low tire pressure is something you may encounter on a road trip in the cooler months. Keep a pressure gauge in your vehicle to check your tire pressure often. Your recommended tire pressure is listed on a sticker inside your driver-side door, or you can find it in your owner’s manual. One of the easiest ways to check if your tires have enough tread is to use a coin test. Insert a coin into the tread groove with George Washington’s head facing down. If Washington’s head is not visible, your tires are ready to hit the road. If you can see a portion of Washington’s head, you’ll want to stop and see us at Classic Chevrolet for a dependable set of new tires. Be aware of any unusual thumping or vibrating noises while you’re driving. These signs could alert you that one of your tires has a flat spot, a separated belt or another issue. Bring your vehicle to our service department at Classic Chevrolet in Grapevine, Texas, to ensure your tires are in top condition before you hit the road. Teen drivers have to start somewhere, and Chevrolet has plenty of models that’ll do the trick. A teen’s first car ought to be a good combination of safety, efficiency, affordability, and a dash of style. The 2017 Chevy Sonic is definitely in that sweet spot of being a compact and affordable vehicle that doesn’t eat up too much gas and looks good to boot. If you’re looking for a safe car, look no further. The Sonic comes standard with 10 air bags, rear vision camera, traction control, and StabiliTrak technology. There’s also an optional package, Driver Confidence Package, that includes lane departure warning, forward collision alert, and rear park assist. It’s also got a solid engine that’s easy on gas consumption. The 1.4L turbocharged engine (that puts out 138 HP) and available 6-speed manual transmission offers an EPA-estimated 32 MPG on the highway. It’s also fairly roomy, so your teen can take their hobbies with them. The Sonic hatchback with the rear seats folded down offers 47.7 cu. ft. of cargo space. Speaking of rear seats, so many starter vehicles lack space for passengers. The Sonic offers 5 seats, which means that your teen can take their friends around town. With a starting MSRP of $15,145, the 2017 Chevy Sonic is within reach no matter your budget. For getting to school to heading to their part time job, to seeing a movie with their friends, the Chevy Sonic will allow your teen to get around in style, comfort, and safety. Of course you don’t have to go new — we have an extensive, ever-changing pre-owned vehicle inventory with many good deals on older models, many of which offer that good mix of attributes that you’d want for a teen driver’s car, especially affordability. Visit Classic Chevrolet to view our inventory of new and used cars, trucks, and SUVs. Classic Chevy provides auto sales, service, parts, and accessories for the DFW Metroplex. Stop in and shop for your teen today. A flat tire can easily ruin your day. However, a flat tire is even more frustrating when you’re not sure what do when one occurs. These 10 steps to fixing your flat tire will help you feel confident if you’re ever confronted with the hassle of a flat tire on a road trip or even your daily commute. 1. Locate a safe place to stop. Don’t panic when you come to the realization that you have a flat tire. Simply locate the nearest exit (if you’re on the freeway) or a safe, uncrowded place to pull off of the road. Choose a location with flat ground to make jacking your car off the ground easier. 2. Turn on your hazards. Your hazard lights will let everyone know that something is wrong with your vehicle and that they should pass you slowly. 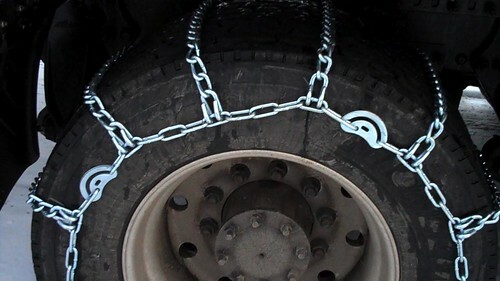 Once your hazards are on, locate your spare tire, jack and a wrench. 3. Loosen your tire’s lug nuts. You won’t need to remove your lug nuts at this point, so simply loosen them by turning your wrench counter-clockwise. You may need to put the wrench in place and stand on the wrench arm to loosen extremely tight lug nuts. 4. Start jacking your vehicle off the ground. Be sure your jack is securely in place, then jack your vehicle up roughly six inches. If you can’t locate your jack, your vehicle owner’s manual will tell you exactly where to find it. 5. Take the tire off. Now is the time to fully remove the lug nuts and take the tire off the car. Be careful not to let any of the lug nuts get lost. Pull the tire directly towards you and off of the vehicle. 6. Place your spare tire where the flat tire was. Carefully align the holes in the spare with the lug nut posts to ensure the tire is in the correct place. Push as hard as you can to make sure the tire is as far as it can go onto the wheel base. 7. Screw the lug nuts back on. You don’t need to fully screw them down yet, so just make sure they’re properly holding the wheel on the vehicle. 8. Lower your vehicle back to the ground. Use the jack to lower the car slowly to ground level. Remove the jack and set it out of the way. 9. Tighten the lug nuts. Now that the vehicle is on the ground, you can tighten the lug nuts one by one. Tighten one lug nut about 50-percent of the way, then tighten the opposite lug nut the same amount. Tighten the opposite lug nuts in this manner until they’re as tight as possible. 10. Carefully place the tools back in your trunk, making sure not to forget any items on the side of the road. Place the tire in your vehicle, so you can dispose of it properly. When you’re in need of new tires or any other vehicle maintenance, there’s no better place to go than Classic Chevrolet in Grapevine, Texas. If you haven’t made an appointment for winter service for your Chevy yet, give the service department at Classic Chevrolet a call. You’ll want to have your vehicle ready for the winter, and that includes ensuring the tires have enough tread to handle snow and slush and the mechanics are most likely not going to let you down when it’s so cold outside. While there is no guarantee that you wouldn’t break down during the winter, having your vehicle checked could mitigate that. Your service technician will let you know what parts are wearing out and should be changed as you can expect it to give way sooner rather than later. This includes belts, hoses, tires, brakes and other wear and tear items. While it would be nice to not see snow this winter, there’s a good chance that you will at least encounter cold weather; and sitting in a vehicle that might not start while you wait for a tow truck is not going to be fun. As for tires, while most manufacturers recommend changing the tires when they have 2/32 inch of tread left, that is not enough to grip and release the snow. By the end of winter, your vehicle’s tires should have no less than 6/32-inch of tread on them. While you should carry an emergency kit all year, you probably won’t carry extra blankets and other cold weather gear during the summer. Be sure the first aid kit in the vehicle is all up to date and contains everything; and be sure you have extra blankets, high-energy snacks and a change of warm clothing in your winter emergency kit. And, in the event that you do slide off a slippery road, you’ll definitely want to have reflective triangles, a flashlight and extra batteries. Don’t get caught out in the cold. Be sure to stop by Classic Chevy or give our service department a call to make an appointment for maintenance so that you are prepared for winter driving. Winter is just around the corner; that means it’s time to prepare your Chevy for the season. Several service items are a “must,” while others depend on how you use your Chevy during the winter months. Make an appointment with Classic Chevrolet to have your vehicle serviced for winter before it gets too cold. If you just had your oil changed and used 5W-30 or another “winter” viscosity oil, then you can skip this step. However, if your vehicle uses a thicker viscosity oil during warmer months, you will need to have it changed. Since oil tends to thicken when it’s cold, your engine needs oil that won’t get quite as thick during the cold months. Check your owner’s manual for the time frame to flush the cooling system. If it’s almost time stop by for a coolant flush – don’t wait until the middle of winter. If you had a coolant leak in the past and just added water, you definitely need to have the system flushed and refilled with the proper mixture of antifreeze and water. If it gets cold enough, the water in the block and cooling system could freeze and could cause massive problems including a cracked block. Check your tires to see if they are worn – if you look between the treads, you will see a small “bump.” If the tread is almost even with the bump, then you need to replace the tires on your vehicle. Choose tires that match your winter driving. If you stay on well-cleared roads, then you don’t need mud and snow tires; however, if you drive off road, even on gravel roads, you may want to consider all-terrain or mud and snow tires. If you typically drive through farm fields, you may want to add a set of chains for those snowy days when you just have to get a load of hay or other feed out to the animals. Call or visit our web site for a service appointment at Classic Chevy so that your vehicle is ready for the winter. In addition to service, don’t forget to check your emergency kit. Replenish items that are out of date and add extra blankets and jackets to the kit. The National Highway Traffic Safety Administration (NHTSA) rated eight Chevrolet vehicles with a 5-Star Overall Vehicle Score for the 2014 model year. Chevy had more high-scoring vehicles than any other automaker, including Toyota and Ford. You can find these models at Classic Chevy, so if you are in the market for a new vehicle but want something with high safety ratings, stop by our dealership today. 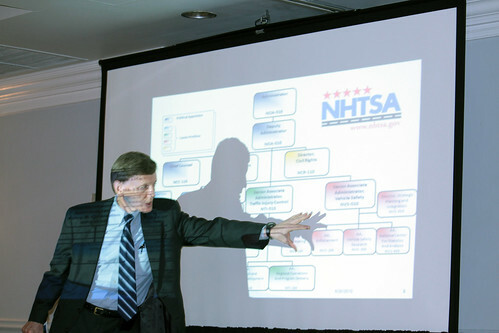 Though NHTSA has been testing vehicle safety since 1978, the Overall Vehicle Score was just added to the mix in 2011. Tests include rollover evaluations, side pole crash and side impact crash tests, and frontal crash tests. The vehicles that scored high for the 2014 model year include the Traverse, Impala, Cruze, Camaro, Sonic, Silverado, Malibu and Volt. The Volt got 5-Star crash ratings for side crashes and rollovers in addition to the Overall 5-Star rating. The Traverse is the first vehicle in the industry to features a seat-mounted center airbag and has had the airbag since the 2013 model year. It also features seat-mounted side impact airbags, dual stage frontal airbags and head curtain side impact airbags. The Camaro was rated 5 Stars on every test: Side crash, front crash, rollover and overall safety. The Impala was rated 5 Stars on side and frontal crashes. The Sonic and Silverado feature lane departure warning and forward collision alert. The Silverado also features a safety alert seat that vibrates to warn you. You can also select audible warnings. The Malibu has tons of safety technologies and includes the side blind zone alert. Additionally, the Malibu features 10 airbags, side blind zone alert, a rear vision camera and rear cross traffic alert. It also features four-wheel ABS brakes and traction control. The Cruze has 10 standard airbags – the most in its class. Combine those with a rear cross traffic alert, rear vision camera and side blind zone alert and you have a pretty safe car. You’re even safe in a sports car if you’re a Chevy fan. The Camaro has – in addition to its safety features – OnStar, which is offered free for the first six months. It will call for help even if the airbags don’t deploy in a crash. Stop by Classic Chevrolet today to test drive any of these vehicles, especially if safety is your biggest concern.